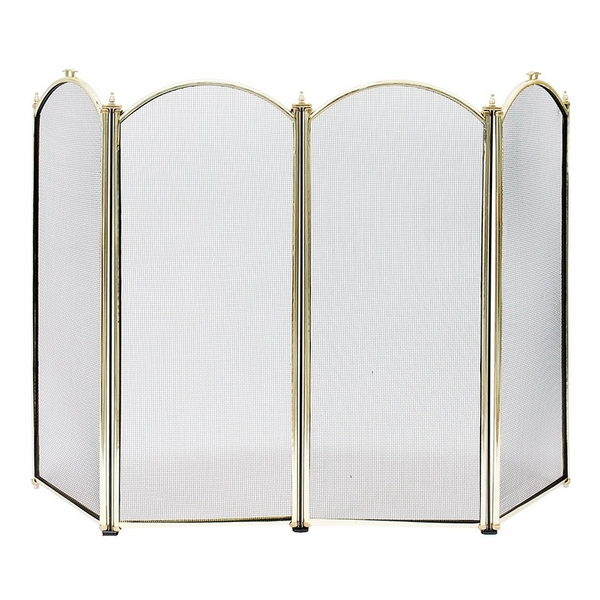 This is a lovely four panel (three fold) fireplace screen constructed of sturdy plated brass. It's sure to be a great addition to the look of your fireplace room-whether that's your den, living room, family room, bedroom, or kitchen. The adjustable hinged panels allow you flexibility in arranging the screen and also allow you to get access to your fireplace without having to move the entire unit. You'll appreciate the beautifully crafted handles and the classic design of the finials. The unit is nearly three feet high when fully assembled.